There is another spectacular oceanfront modern home for sale in Florida. 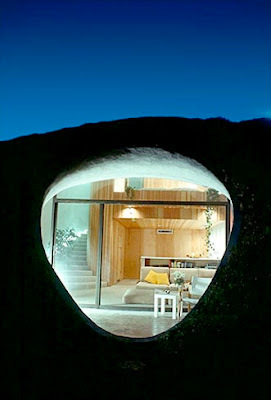 The Dune House was designed by William Morgan Architects. 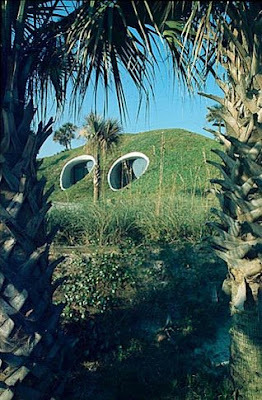 William Morgan Architects created The Dune House in 1975. 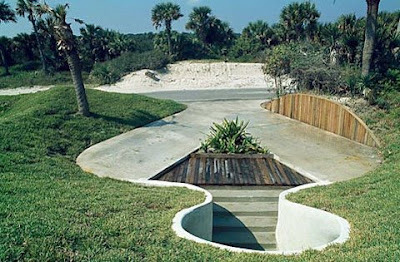 The architect was inspired by ancient American Indian mounds and prehistoric earthworks. This fantastic building features feminine curves. 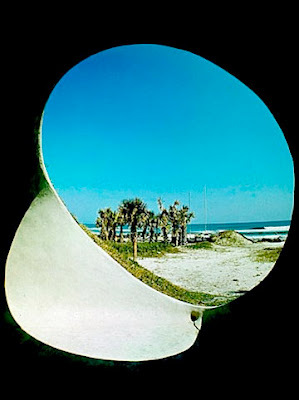 The Dune House on the edge of the sand at Atlantic Beach on the east coast of Florida is an incredible modern architectural treasure. The house features two one-bedroom units which measure about 750-square-foot combined. 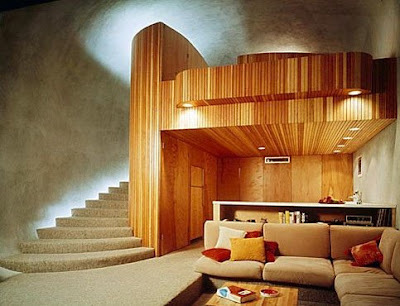 Each unit comes complete with curved wood panel, fluid lines, conversation pits and built-in furniture on a an almost 10,000.00 square feet lot. The building features a grassed roof which helps to keep temperatures down in the hot summer months. The seller would prefer to keep it GREEN. 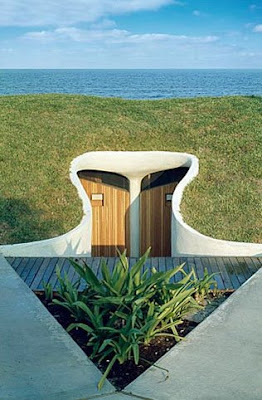 He liked to water the Dune House’s grass roof each evening to relax, his wife Bunny said. 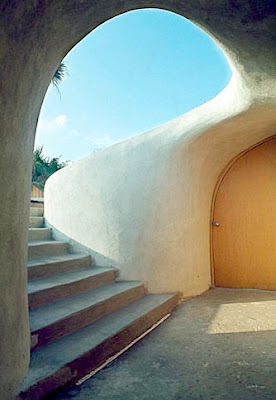 The Dune House is for sale for $1,850,000 which is a tad too much for us. But heavy hitters or trust fund babies with modern taste can hopefully purchase and protect this wonderful piece of modern architecture so it can survive the next century. For more information and images on William N. Morgan's other work, visit his Web site, williammorganarchitects.com and click Residential, then sit back and enjoy a good show. The listing agent is Tansy Moon at Prudential Network Realty. When you are looking for a good agent in Florida who specialized in modern architecture, check with Martie Lieberman at http://www.modernsarasota.com. Martie Lieberman knows a lot about moderm architecture and you can request a free copy of the Modern Sarasota Architecture driving tour from Martie Lieberman. The Modern Sarasota Architecture driving tour is a self-guided driving tour Martie created over time to see approximately 100 examples of architecture. The tour can be completed in one day or can be broken up into segments as your schedule permits. Sarasota is so beautiful, you will want to stop and enjoy the scenery and beautiful beaches along the way!